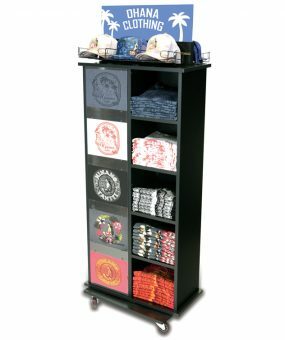 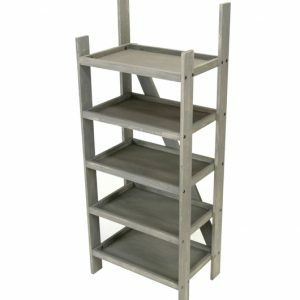 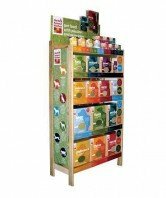 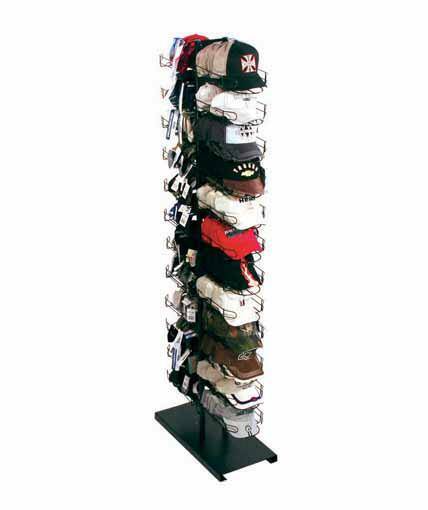 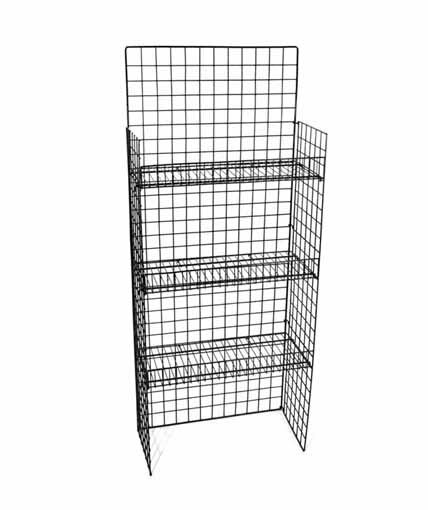 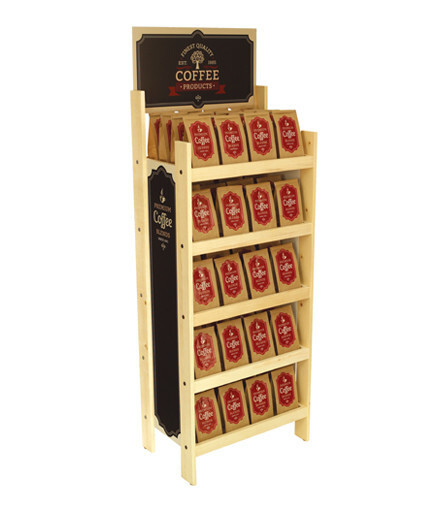 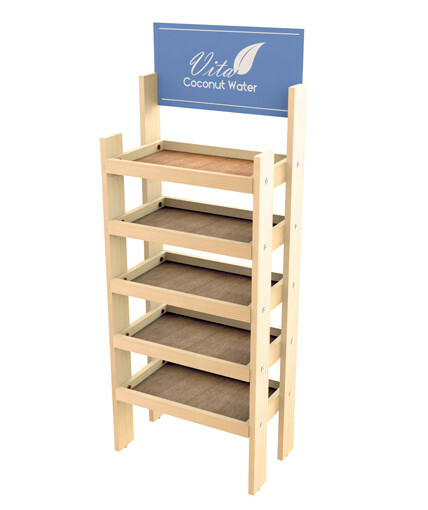 Our redesigned solid wood 5-shelf floor merchandiser offers a highly versatile solution that fits a broad range of products and retail environments. 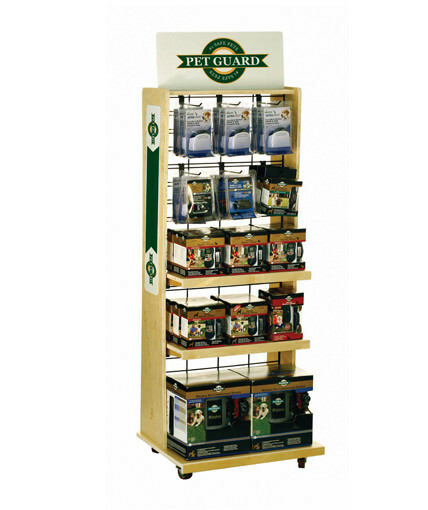 Features knock- down construction and easy assembly while offering multiple branding opportunities by adding header, side and shelf signs. 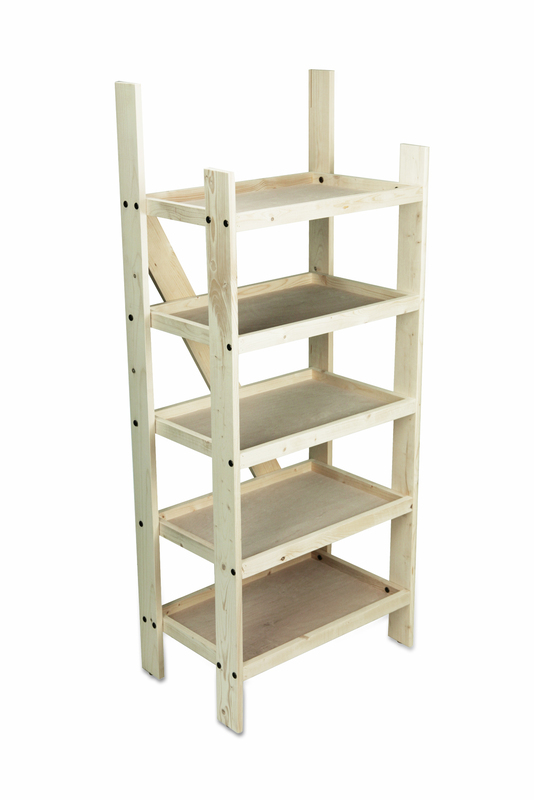 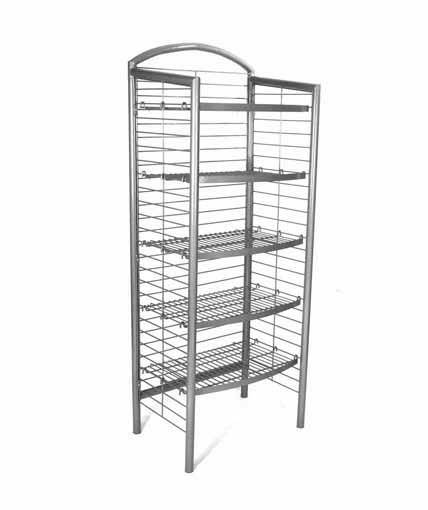 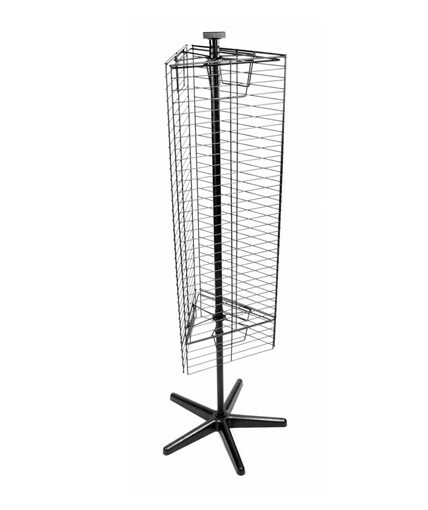 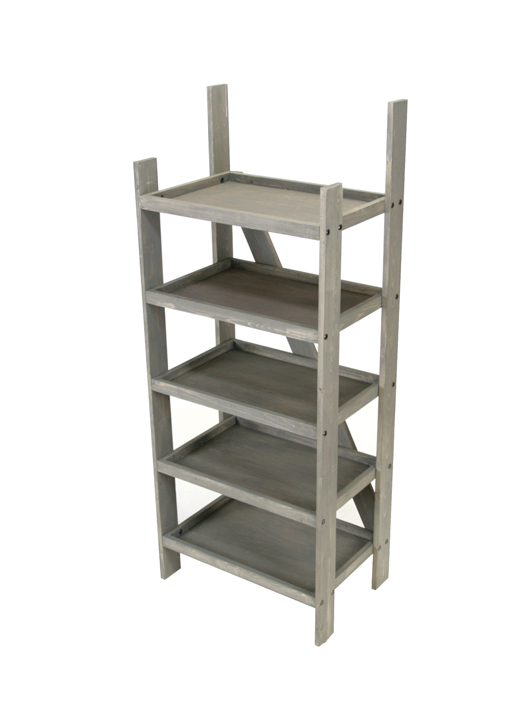 Available in natural finish or grey stained finish.